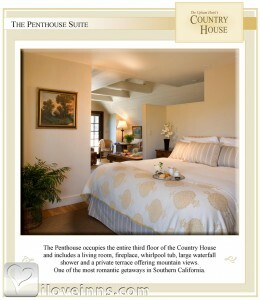 Goleta bed and breakfast travel guide for romantic, historic and adventure b&b's. Browse through the iLoveInns.com database of Goleta, California bed and breakfasts and country inns to find detailed listings that include room rates, special deals and area activities. You can click on the 'check rates and availability' button to contact the innkeeper. Goleta is located on the coast of California about three hundred thirty miles south of San Francisco and about ninety miles north of Los Angeles. Goleta valley is in between the Santa Ynez Mountains on its north and the amazing blue waters of the Santa Barbara Channel to its south. Goleta got its name from the Spanish word for schooner, the small ships that harbored in the Goleta Slough. Goleta has a lot of wonderful things to offer its many visitors including some of the best shopping facilities and recreational opportunities. Enjoy fresh morning pastry and the brewed coffee at Anna's Bakery in the Camino Marketplace. On Sundays, you can walk through the stalls of the Farmers Market where you will find some of the finest organic flowers and produce. Afterwards, head out to the bluff trail to Ellwod Beach which is a favorite hangout to the local sunbathers. Also, try the Goleta bed and breakfast inns. By Circle Bar B Guest Ranch.